This inspection package is for a client purchasing a new property, one that has never been occupied or used and subject to a defects liability period. The survey may be executed post settlement and occupation, yet where possible best executed prior to practical completion, settlement and occupation. It is seen to be in the best interests of the Purchaser, to obtain a report as to the condition of the property, prior to making final payment. This does not see the defects liability period lost or abandoned. Contact us for info as to why this is the case. Practical completion is that period when the work has been finalised and handover or settlement takes place. At this period the final payment is normally paid to the builder or others and the keys are handed over to the Purchaser. The defects liability period commences post practical completion and in most cases remains in place for 90 days. One should refer to the contract of sale regarding this. The Defects Inspection will cover defects being significant (or otherwise) within the property. It can take the form of a Scotts' Schedule or a basic report. Either reports will house photographic evidence. The report is presented to the client and normally passed on to the main contractor or other associated parties for their consideration and response. The pest report is not normally included, as new properties are subject to regulations regarding pest barriers, yet the KAV report will provide an opinion as to this and also in respect to moisture and ventilation facilities. The cost varies pending the extent of work required. 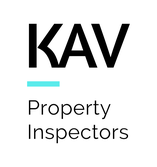 KAV accept enquiries free of any obligation and will assist in pricing the work prior to any commitment.